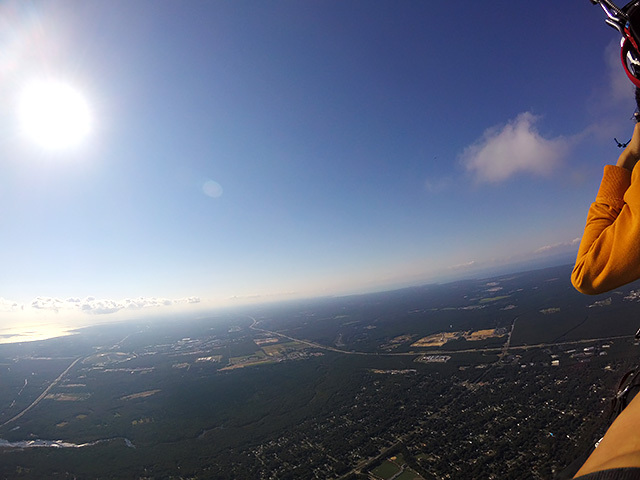 Why did I jumped out of a plane? I bet you won’t believe me when I say I actually thought about it after I landed. 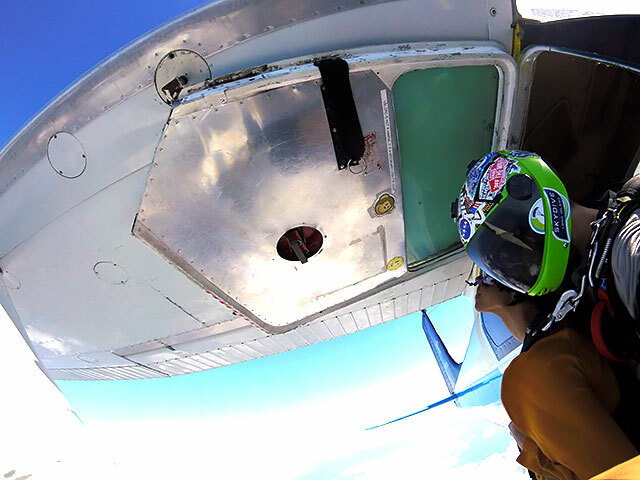 Skydiving is very dangerous, so the more you can prepare for it, the better. 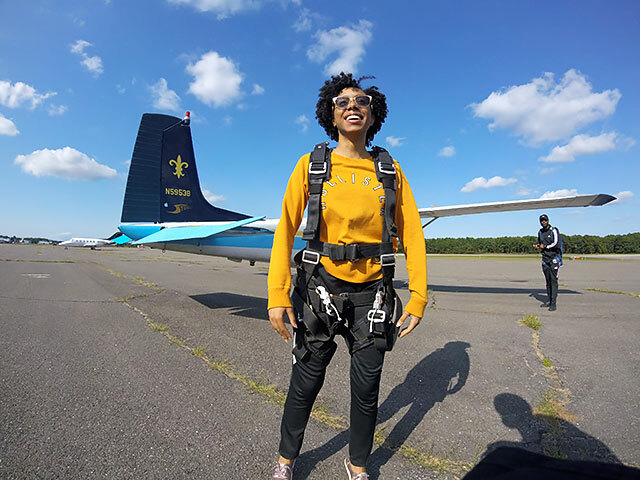 After the thrill faded, I realized that although the experience was life-changing for me, I actually wasn’t as prepared as I should have been. And that anything could have gone wrong at any moment. 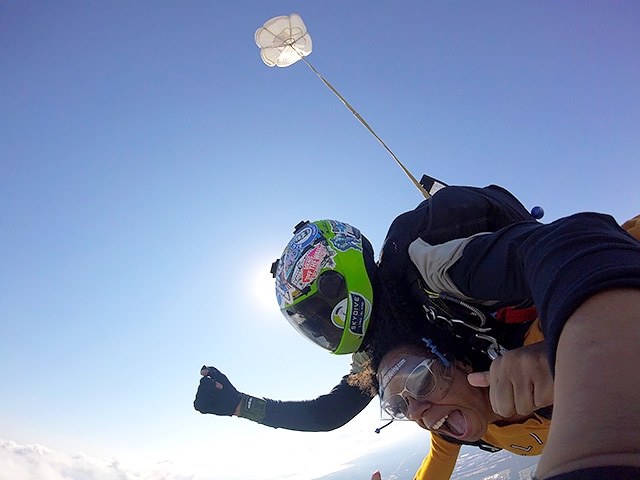 I encourage you to research the skydiving company and the waiver you must sign. 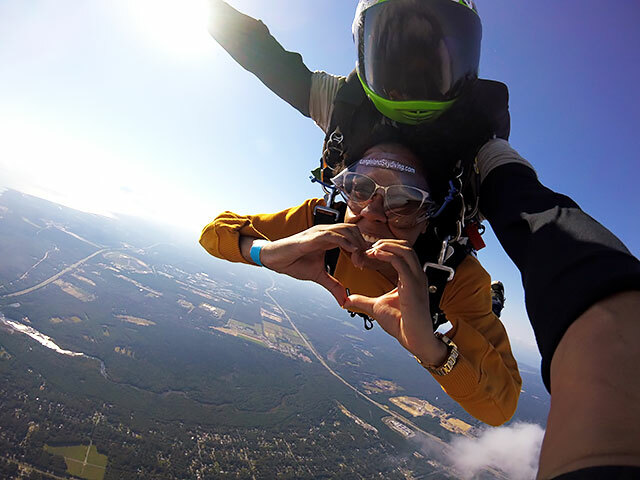 You should be aware of all the risks of the sport before jumping. 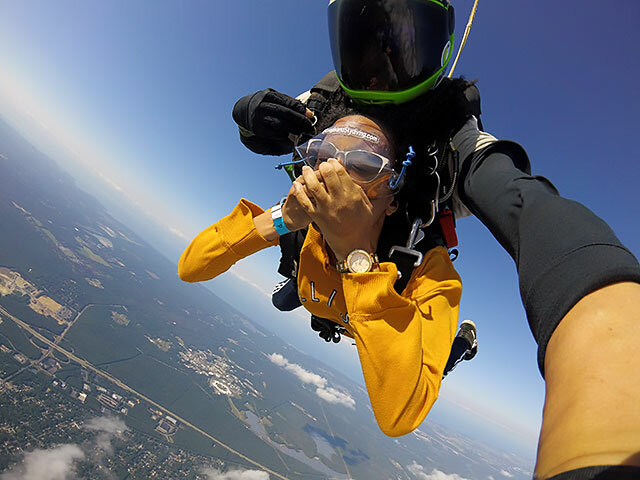 The waiver very specifically explains that skydiving could result in serious injury and death and it releases the company of any responsibility in the event that you are injured or die as a result of the jump. 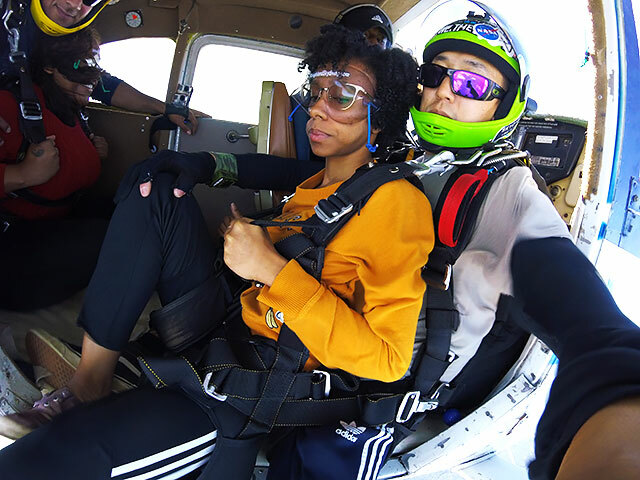 After signing the waiver, you will be strapped into a harness by your tandem instructor and escorted to the plane to take a few photos and record your last words for your family. No, seriously. 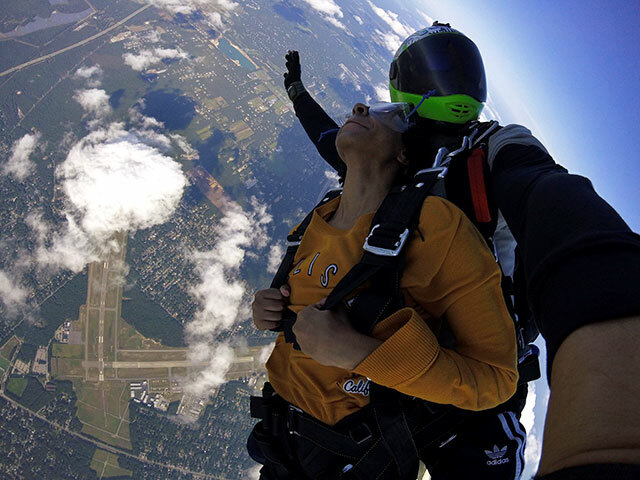 Almost at 10,000 feet, the nerves might kick in, but the instructor will make sure you still want to jump. You can say no at any moment. The instructor will also give you last-minute instructions on how to exit the plane. The instructor will finally open the door when the pilot signals and will direct you to exit the plane. 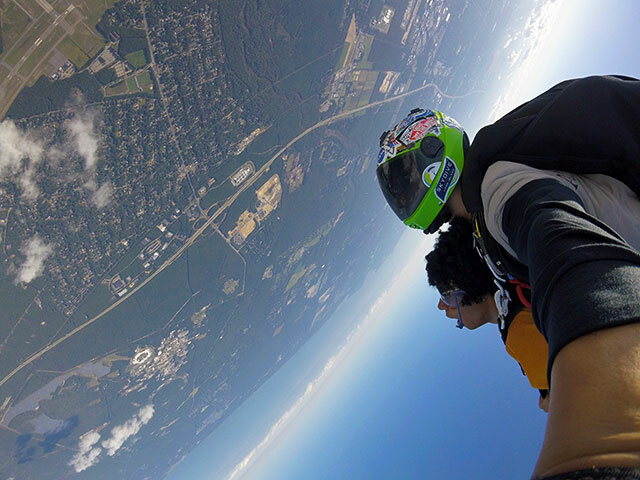 Once your legs are out of the plane, there’s no turning back. The instructor pushes you into the dense and cold air. The correct way to jump is with your hands clenched to the harness, chin up, hips and legs back to form an upside down banana shape. After you realize everything is OK so far, you can admire the wonderful view. Because the air pressure at 10,000 feet is much lower, you will only have about 28 percent of the oxygen you would have at sea level. You might have to cover your face for a few seconds in order to breathe. It is best to avoid opening your mouth. 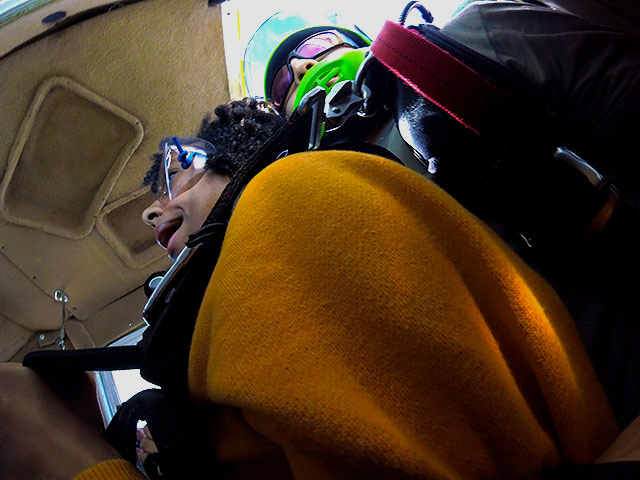 Once the instructor knows you’re OK, he’ll allow you to make gestures with your hands to take more photos and video. 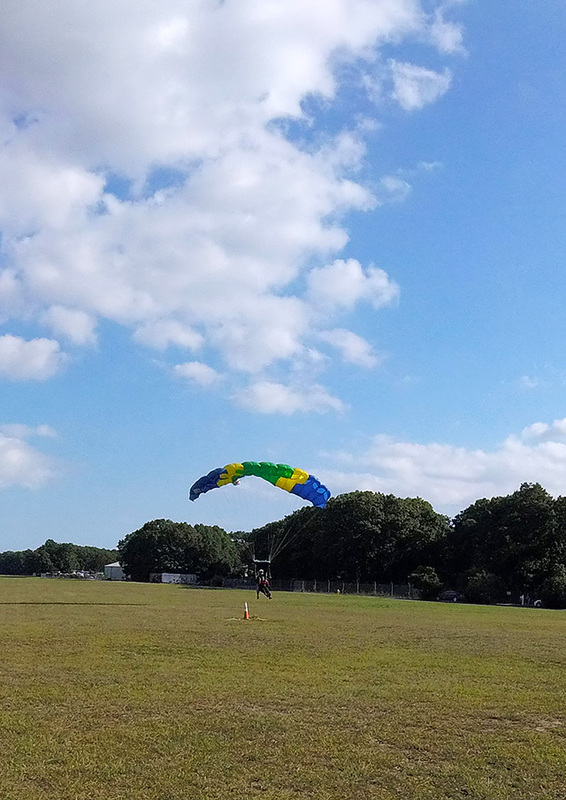 After about 45 seconds of free-fall, the instructor will discharge the parachute, which jerks both of you into standing position. The discharge may be uncomfortable in the groin area. For the next six to seven minutes you can enjoy the view. Make sure to pull your knees up for the landing. Added by Christine Mckenna on December 19, 2018.